Summer is here and the search for the best ice cream in town has officially begun! In Lisbon, there are dozens of them scattered throughout the city. 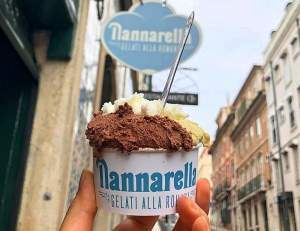 Since our guests do not have much time to lose we have made a list of the best ice cream parlours in Lisbon. Opened 72 years ago by two Italians is located in the same place and with the same homey atmosphere as it always did. The most popular flavour is ‘Cream’ but it’s the ‘Conchanata’ ice cream bowl, that makes us have the strength to wait in line. The bowl has 4 scoops topped with the house’s special strawberry sauce. A classic that will never go out of style! Hours: Tuesday to Sunday from 2p.m. to 11p.m. 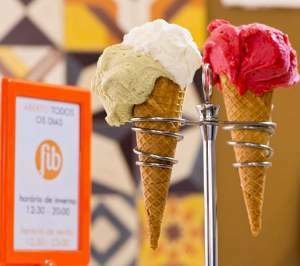 For many, it’s where you will find the best ice creams in Lisbon! They are homemade, with 100% natural products, without dyes nor preservatives. What’s great is that they are served with a spatula and not in scoops. The flavours go from the classic strawberry or chocolate to the pistachio (from Sicily) or almond (from Piedmont). The icing on the cake is the fact that they make an ice cream cake. Hours: Every day from 12p.m. to 10p.m. This is the ice cream shop that claims to make the real Italian ice cream. They have many different flavours from peanuts and avocado to Portuguese vanilla cracker called ‘Bolacha Maria’. Hours: Tuesday to Friday from 12p.m. to 8p.m. Saturday and Sunday from 2p.m. to 8p.m. 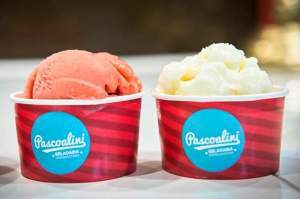 The Pascoalini opened its first ice cream parlour in Santarém, a city located 1h30 north from Lisbon. It began to be very popular because of its ice cream flavours of traditional Portuguese sweets of the region such as: the ‘Pampilho’ and ‘Celestes’; an egg and almond-based sweet, or the chocolate mousse with ‘Arrepiados’ (almond and egg cookies) bits. Last Year, in May they opened a shop in Lisbon! We ask: Is there a better way for anyone visiting Portugal, than to taste our traditional sweets in an ice cream?! Hours: Monday to Thursday from 12.30p.m. to 8p.m. Friday to Saturday from 12.30p.m. to 10.30p.m. Here, the scoops are old-fashion! Now the trend is to order in rolls. 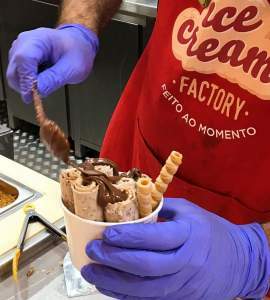 The Ice Cream Factory is the newest ice cream parlour in town which sells ice creams made from old traditional Italian recipes which are than served in rolls. They have several flavours and suggestions for you to make the perfect ice cream. Our suggestion goes to ‘Bueníssimo’ ice cream, with Kinder Bueno chocolate and Nutella! Hours: Every day between 12p.m. and 10.30p.m. 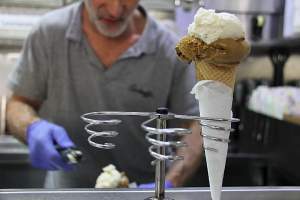 On the Full-day Lisbon tour or on the Full-day Lisbon and Sintra tour there is always time to stop and taste one of these wonderful ice creams! 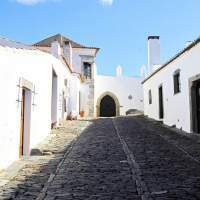 Find out what to visit while in Portugal. This is our Top 10 list! 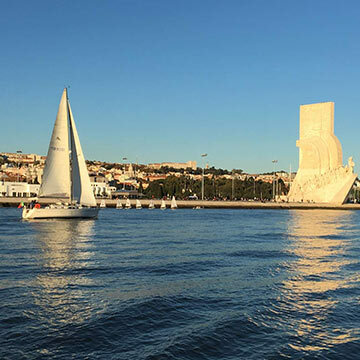 You'll walk around downtown Lisbon visiting its best sights and finish sailing with us along the Tagus river.